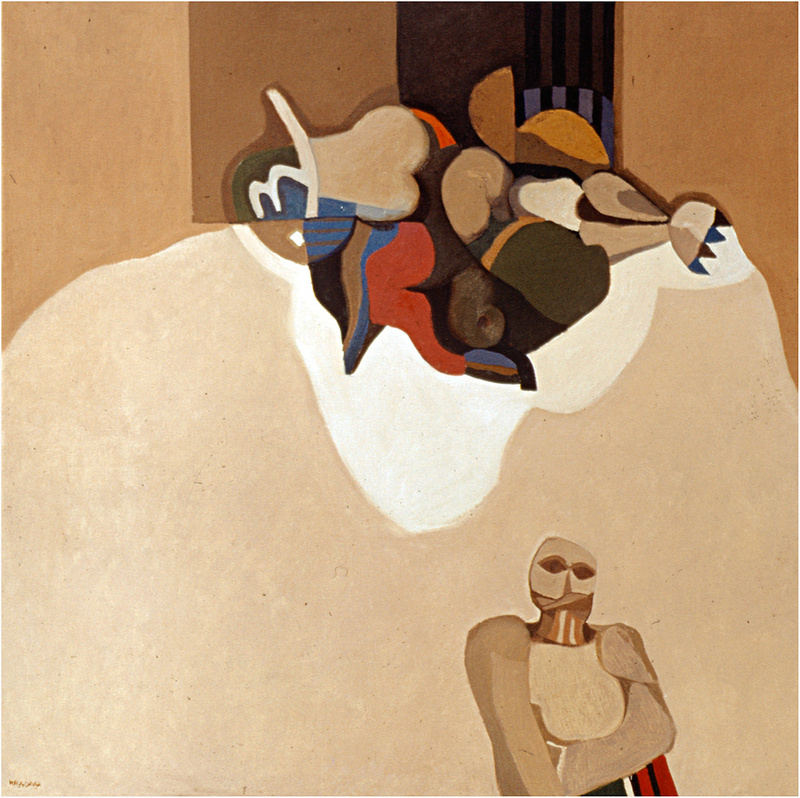 Dia Azzawi (Baghdad, Iraq b. 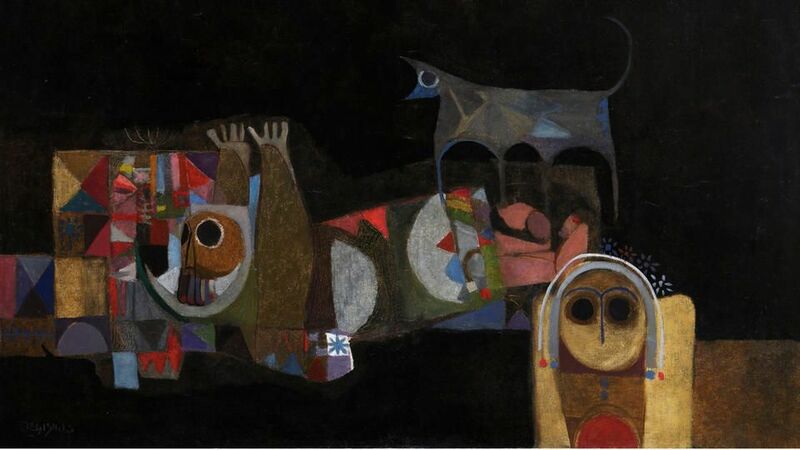 1939) is an Iraqi artist and considered one of the pioneers of Modern Arab Art. 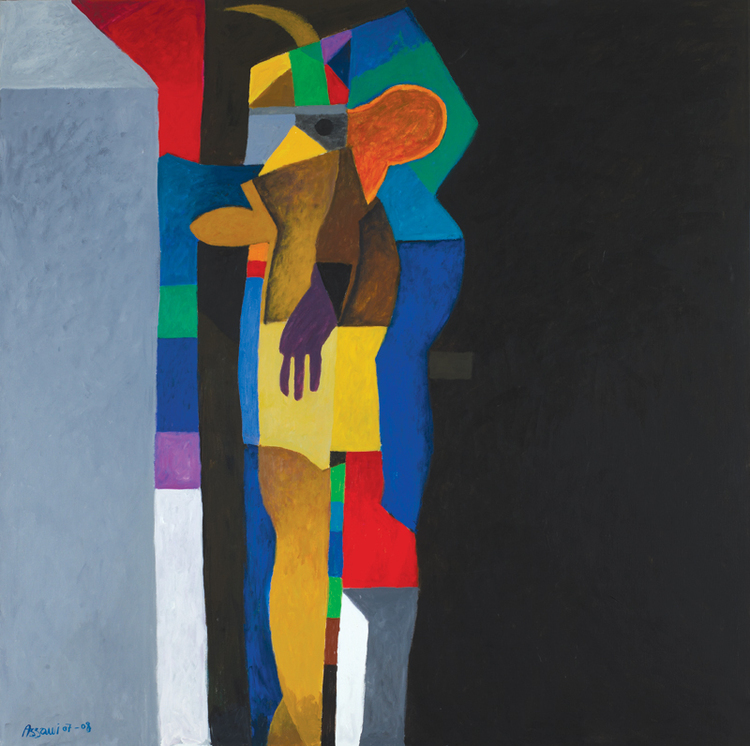 Azzawi showed interest in art at a very young age and he started to develop his own aesthetic when he was in college, and thus started his career in the mid 60's. He is known for his remarkable colour palettes and for a certain amount of time, his politically charged works. Ink and wax crayon on paper mounted on canvas. 300 x 750 cm. The Sabra and Shatila mural was made in response to the 1982 massacre of Palestinian refugees in Beirut by Lebanese Christian Phalangists and has been compared to Picasso's 'Guernica' which was also made as a response to the Nazis bombing the Basque town of Guernica during the Spanish Civil War. Both masterpieces show the tragedies of these unfortunate events and the suffering it imposed on its people. The mural was acquired by Tate Modern in 2012 so if you're around, make sure not to miss it!! Azzawi has mastered so many arenas in the art sphere. Above is just a glimpse of his wide-ranging talent and beautiful works, from paintings and sculptures to ceramics, prints and tapestries. 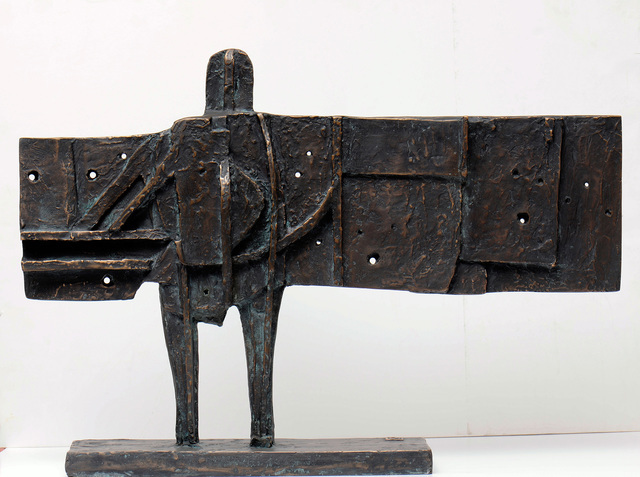 For more about Dia Azzawi, visit his website. Comment your thoughts! 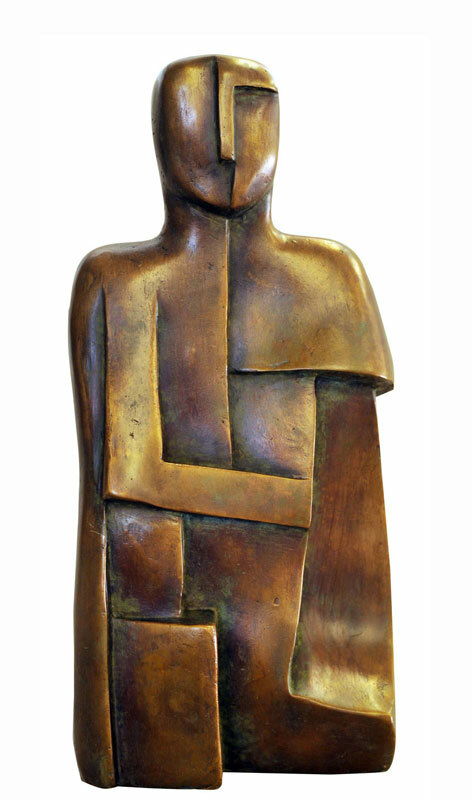 What's your favourite Azzawi piece? All images courtesy of Dia Azzawi.